The Albany City Council plans to raise the city electric ‘privilege” tax to 7 percent, up from 5 percent. 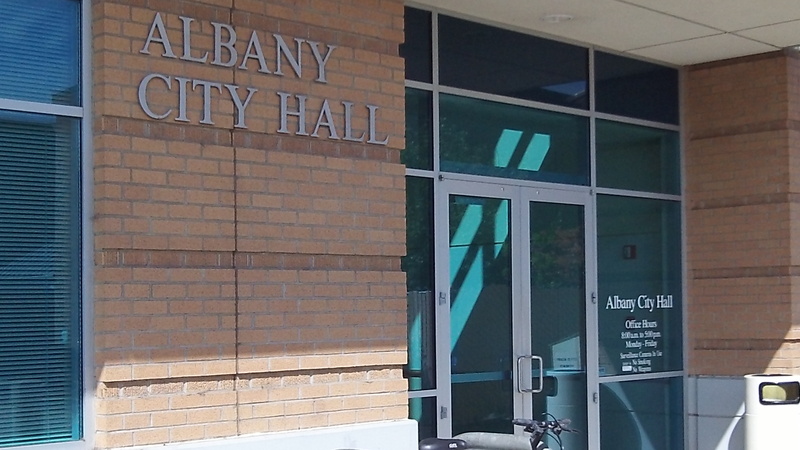 There’s a chart in the July 8 agenda packet of the Albany City Council that reflects a mistaken view — and may leave a wrong impression — of an important fact about Oregon property taxes. “Property Tax Lost to Compression,” the chart is titled. It refers to the amounts by which individual property tax bills are reduced or “compressed” under Measure 5, enacted by the voters in 1990. The alleged loss amounted to about $200,000 in 2010 and rose every year until hitting about $1.3 million in 2014. These sums are not “lost” at all. They were retained by Albany property owners because if the owners had been forced to pay the money, the tax rate limits of Measure 5 would have been exceeded, and that the constitution does not allow. The limits are on the aggregate tax rates for operations of schools and community colleges ($5 per thousand dollars of market value) and on operations for all other governments including cities, counties and special districts ($10 per thousand). Voters imposed these limits 25 years ago because property taxes were out of control and threatening to force some people out of their homes. Since then, voters in local jurisdictions have been persuaded to approve many local-option tax levies outside the tax rates that were set by Measures 47 and 50 in 1997 and ’98. Levies were piled on top of levies as though the M5 limits did not exist. But they do exist, and they protect homeowners and other property owners from increases that would make the ad valorem tax even more burdensome than it is. The chart makes it seem as though the city was entitled to that money and somehow was deprived of it. Instead, those figures represent sums the city hoped to receive but was not entitled to collect because of the taxpayer protections that still exist. The chart is part of a staff report justifying council action to raise the city tax on electricity from 5 percent to 7 percent. This will raise additional revenue of more than $900,000 a year. And it is another example of obfuscating terminology. The city calls this a “privilege tax.” What privilege? Electric service has not been a privilege for about 100 years. You hit the nail on the head with “entitlement”. All the taxing authorities seem to have this sense. I don;t recall ever having the opportunity to vote on these “privilege” taxes. I thought voters decided on additional taxes? Another “hidden” tax are the “Motel Taxes”. Citizens don’t worry about them because they don’t think they pay them. At least until they stay in a motel while traveling in another city. It’s a “we’ll tax your citizens and you tax ours” CONSPIRACY. School taxes are promoted as K-12. With the 5th (and supposedly some 6th) year programs, that makes it K-13/14. And how many year(s) is “K”? 1, 2, 3?? HOW MANY years are we actually paying for? Of course the school districts/teachers support this because it means more jobs/union members. More union members means more lobby power in the government to promote their agenda. Your analysis is spot on. There is low hanging fruit if the city council wants more revenue. Stop the siphoning CARA does from all the taxing districts, including the city’s general fund. The city doesn’t have a revenue problem. It has a spending problem. And voters should have the last word on raising local taxes and fees. It should not be left up to an insatiable city council. This issue would be a slam dunk if a few responsible citizens fired up an initiative campaign to put voter approval in the city charter. They do! It’s called an election. And by that I mean more than just for council positions — it’ for levy & bond issues too, thanks to the measures put into place by what Hasso stated. (Oregonians seriously shot themselves in the foot there…and now WYSIWYG.) Due to the increasing polarization of the 2 major political parties, common sense does not prevail IMO. And now[?] we’ll see a 3rd party appear (“Independent”). I’m quite happy to be Non-Affiliated. Maybe someday I will have the opportunity to weigh in during the primaries without considering gaming the system… Hope springs eternal. Then elect people who will do your bidding. Good luck — I have never voted for anyone who would follow 100% my line of thinking. Gotta love your terminology though… “…insatiable…” LOL! I note that the fee increase was not discussed during the recent PS bond election. The Council is hereby warned to not increase franchise fees on anything. Initiative petition processes can be used to stop the spending madness. It can be done again and it does not have to wait for another election cycle.